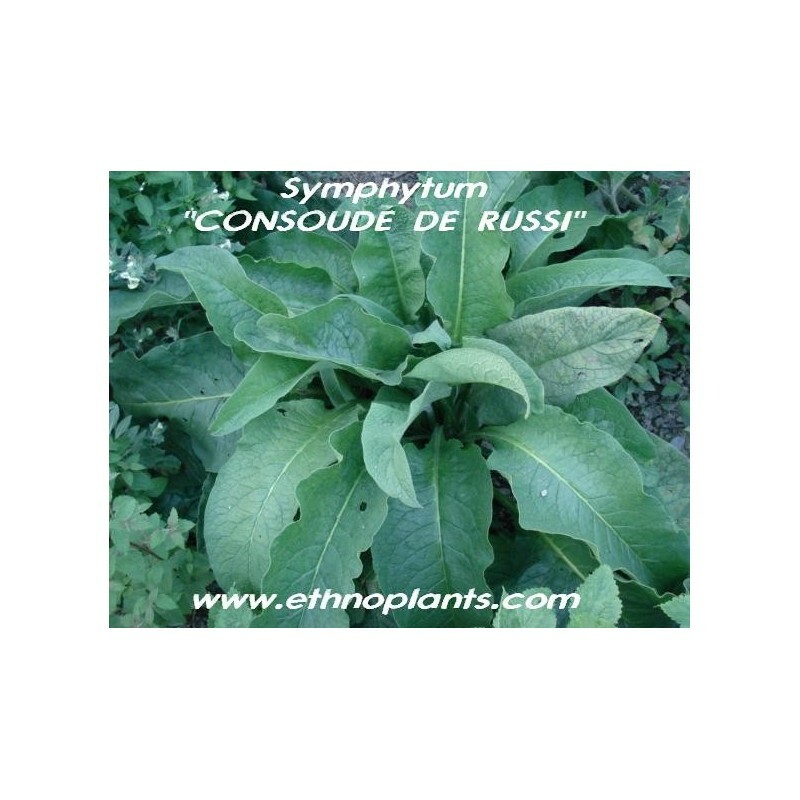 Comfrey or Symphytum officinale is a perennial herb of the family Boraginaceae with a black, turnip-like root and large, hairy broad leaves that bears small bell-shaped white, cream, purple or pink flowers. 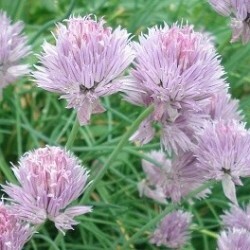 It is native to Europe, growing in damp, grassy places, and is widespread throughout the British Isles on river banks and ditches. 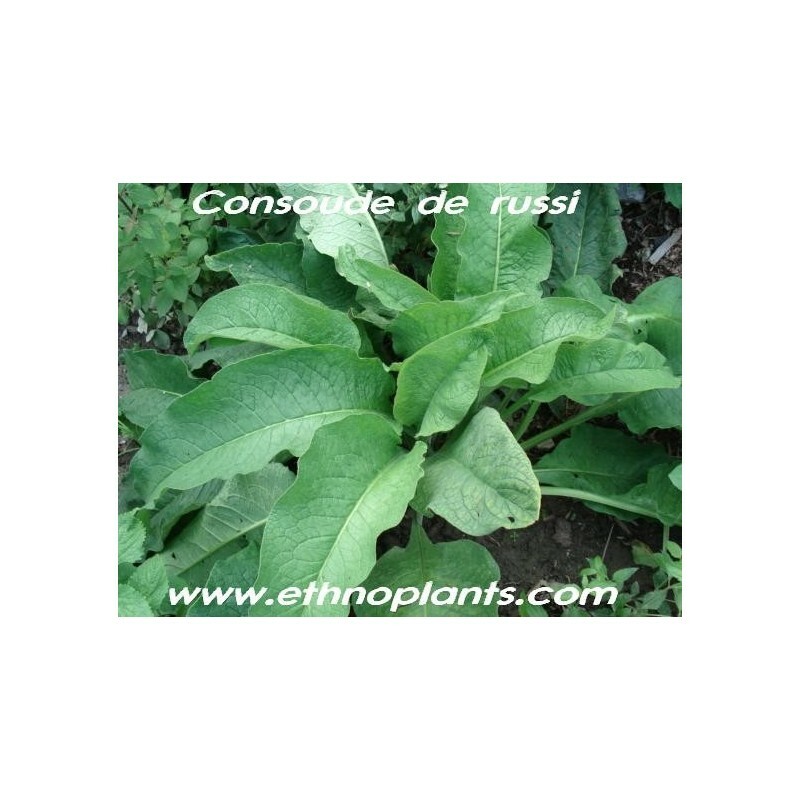 Comfrey has long been recognised by both organic gardeners and herbalists for its great usefulness and versatility. 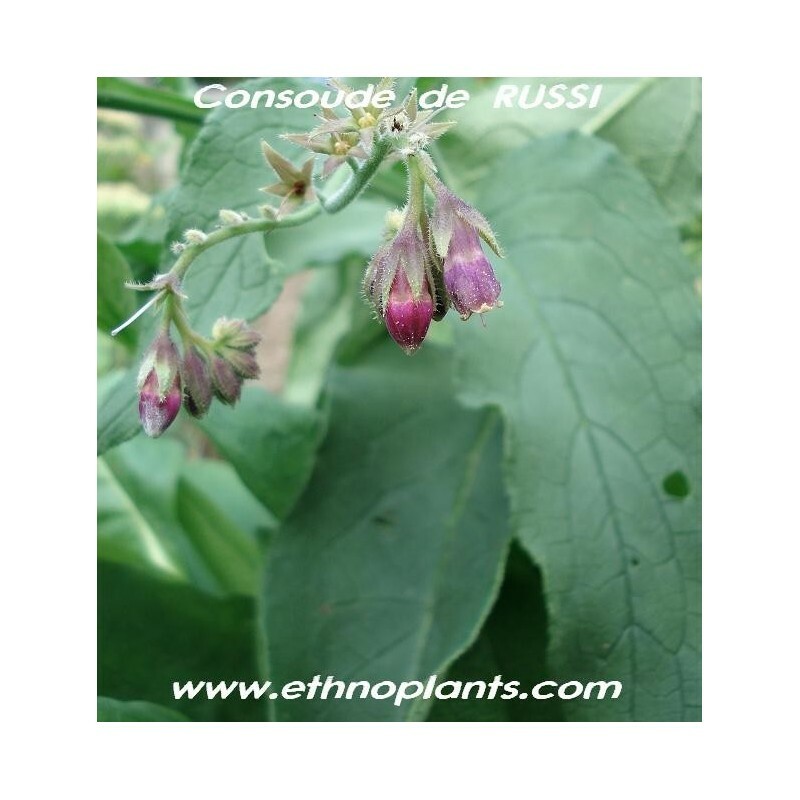 The allantoin contained in the plant is thought to help replace and thus repair cells in the body through its proliferant properties. 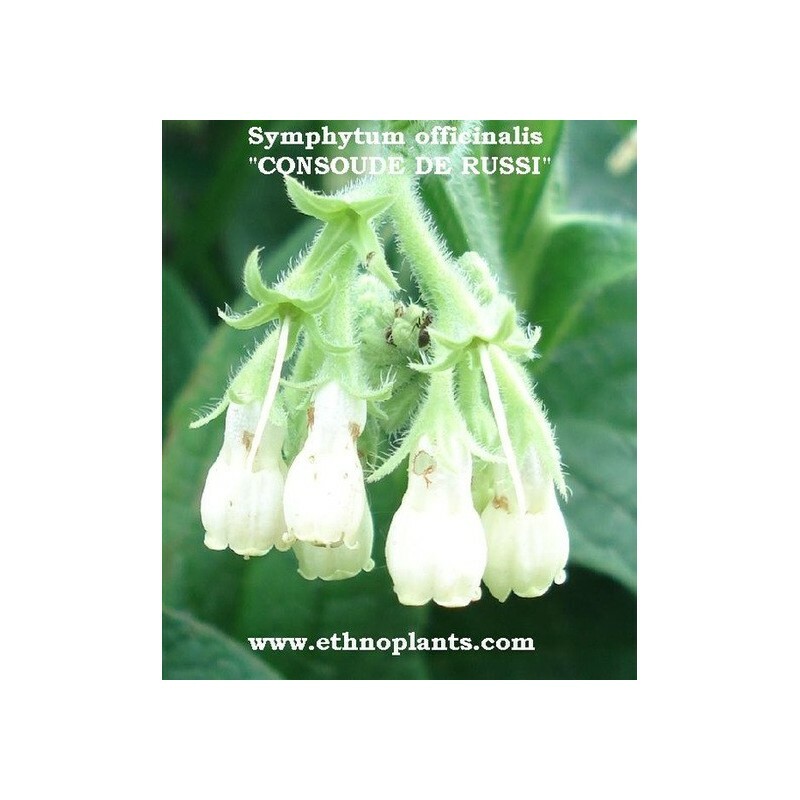 Comfrey was used in an attempt to treat a wide variety of ailments ranging from bronchial problems, broken bones, sprains, arthritis, gastric and varicose ulcers, severe burns, acne and other skin conditions. It was reputed to have bone and teeth building properties in children, and have value in treating many female disorders. Les graines de consoude ont germées sans difficultés.